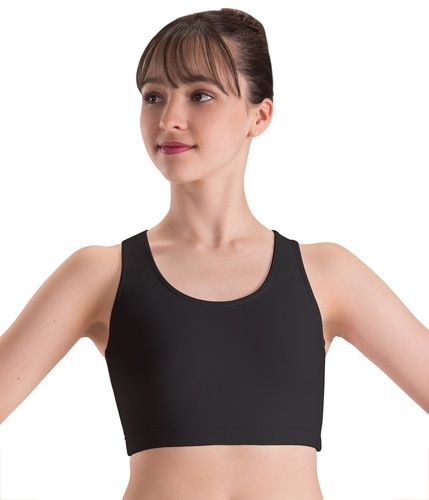 A comfortable solution to supportive athletic wear, this bra top is ready to perform. A flattering racerback design adds an athletic edge that’s perfect for studio sessions and rehearsals. Select from twenty different color options and enjoy the Silkskyn material, which is known for its second-skin feel.